Rock stars shine brighter when you can see each and every one of them. The beat of Albuquerque is as old as music itself, and today it buzzes from every corner of the city with a unique variety of live performances and events you can only find here. What you’ll discover in Albuquerque aren’t just perfect days of fun. You’ll find a city in perfect harmony with you. But with all there is to experience here, you’re going to need a lot more than just one day to take it all in. Wake from a luxurious night’s sleep at Hotel Andaluz. Feast on brunch at Más Tapas y Vino, where you’ll indulge in dulce de leche French toast or huevos rancheros by award-winning Executive Chef Mark Quiñones. 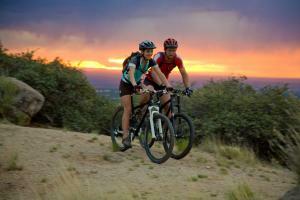 Afterwards, head out for a morning hike or bike ride in the gorgeous high desert foothills of the Sandia Mountains. 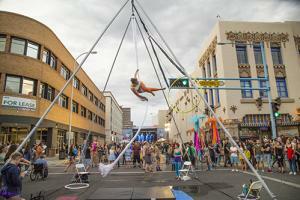 Check out the best Albuquerque has to offer in live music, art, cuisine and technology at SOMOS ABQ, Downtown’s largest outdoor event. 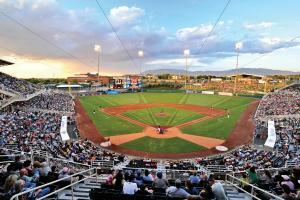 Cheer on the Albuquerque Isotopes baseball team with a hot dog in one hand and a local craft beer in the other. Ascend the mountainside with a breathtaking ride in the Sandia Peak Aerial Tramway, as you take in spectacular views while floating 10,000 feet above the city. Rock the night away with live music under the stars at Isleta Amphitheater, or for a more intimate experience, check out a local band on the patio at Marble Brewery downtown. Refuel from the previous day with breakfast at Church Street Café, Albuquerque’s oldest residence and now delicious authentic New Mexican restaurant in Historic Old Town. 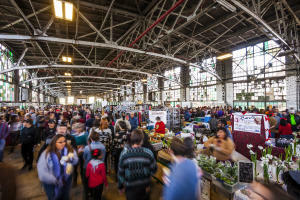 Head to the Rail Yards Market to search for Albuquerque treasures like local art, products, produce and live music. Take in 18 holes at the nationally-recognized Twin Warriors Golf Club, a course with stunning views and carefully routed around ancient cultural sites. Sample award-winning local wines at the Harvest Wine Festival. Don’t forget to take a bottle or two home with you. 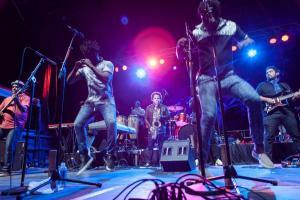 Top off your electrifying weekend with live music from around the world at ¡Globalquerque!